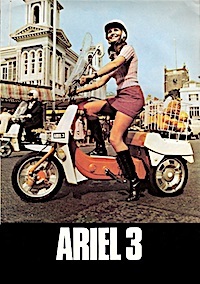 ..to this website, where some useful information can be found for the humble BSA Ariel 3 moped. 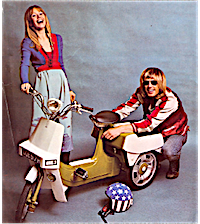 The three wheeled “trike of terror” is normally found in lofts, backs of garages unloved, or flat out down a country lane, terrorising the local cyclists (but only on the downhills). Here we all are out on the roads doing what we do best, having fun! If you have a bike or can add to the history database being created here then get in touch with us, we would love to see your bike and know more about it.